Ready to serve in 5 minutes. 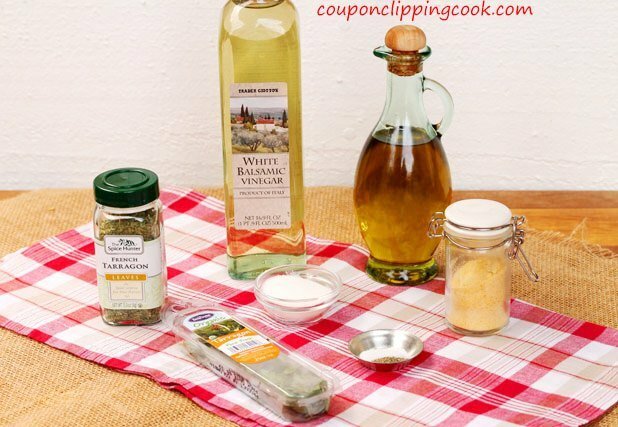 Homemade salad dressing is easy to make and its a great way to add even more freshness to a salad. 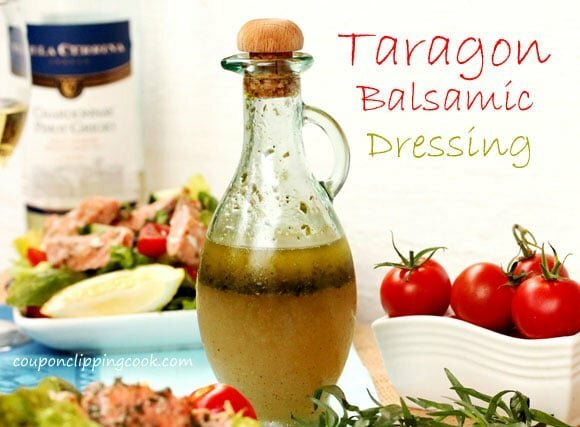 This balsamic salad dressing is quite tangy and has the wonderful flavor of tarragon. It’s a light dressing that tastes especially delicious when served over a seafood salad or a salad topped with fish such as salmon like this “Salmon and Avocado Salad“. 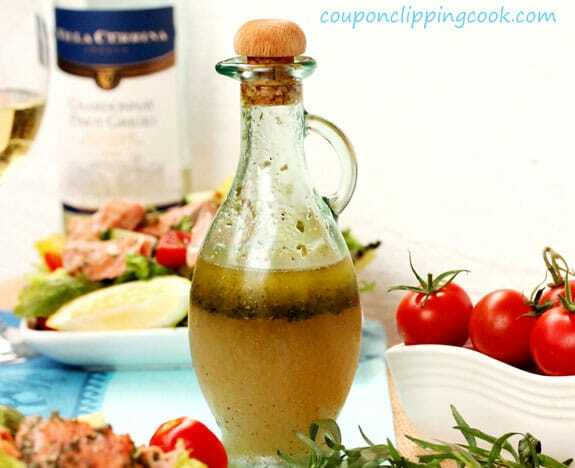 The combination of the tarragon flavor with fish or seafood and fresh salad greens and ingredients tastes heavenly. 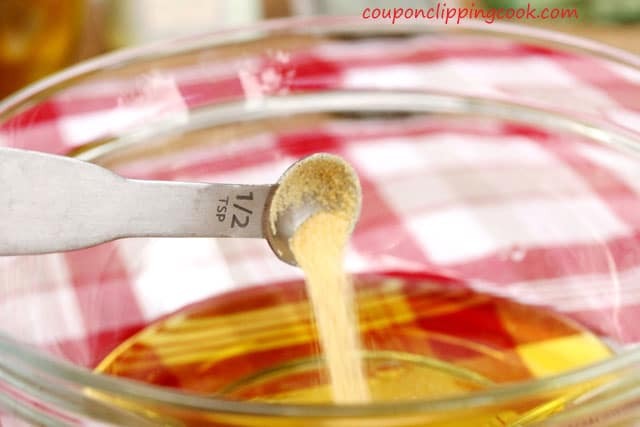 The amount of servings for this recipe depends on how many tablespoons of dressing are used per serving. 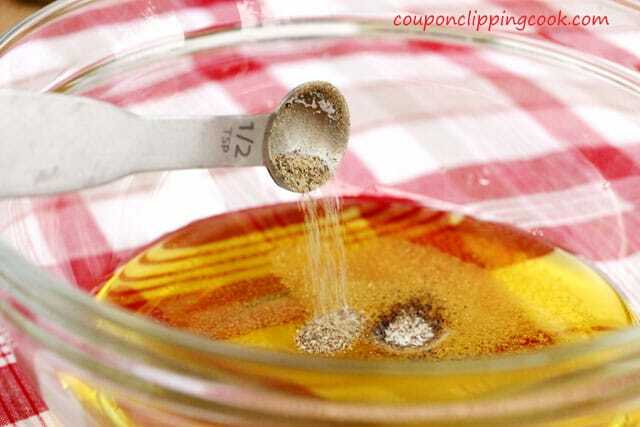 The yield is about a cup of dressing and there are 16 tablespoons to a cup. So if there are say 3 to 4 tablespoons per serving (for a dinner salad), this recipe would serve about 4. 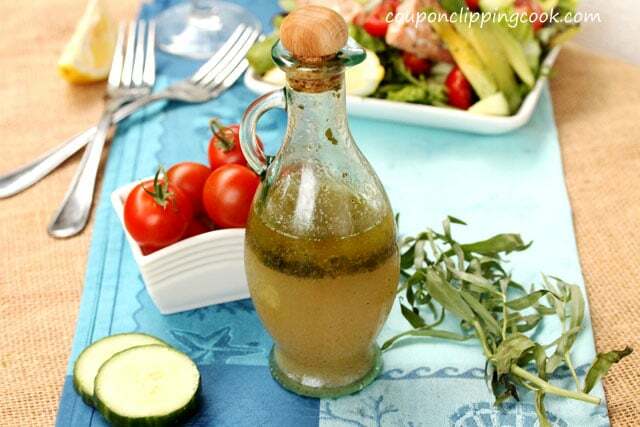 The good news about making homemade salad dressing is that the quantity of ingredients can be adjusted to accommodate the amount of servings needed. 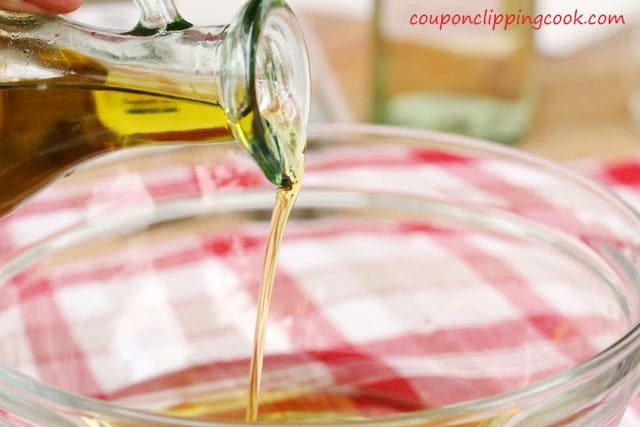 Here are more easy homemade salad dressings with salads you may like; “Chinese Chicken Salad with Homemade Peanut Sauce Dressing“, “Cheese and Cilantro Salad Dressing Wedge Salad“, “Spinach and Nectarine Salad with Orange Citrus Vinaigrette” and “Roasted Beet and Blueberry Salad with Mustard Dressing“. 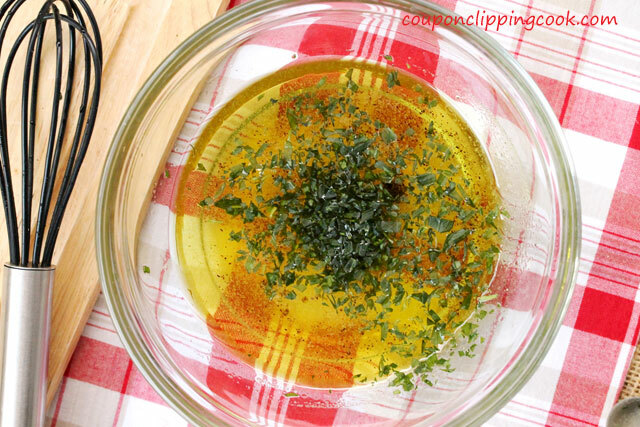 Let’s check out the ingredients for this flavorful tarragon salad dressing. Next, the tarragon is added. 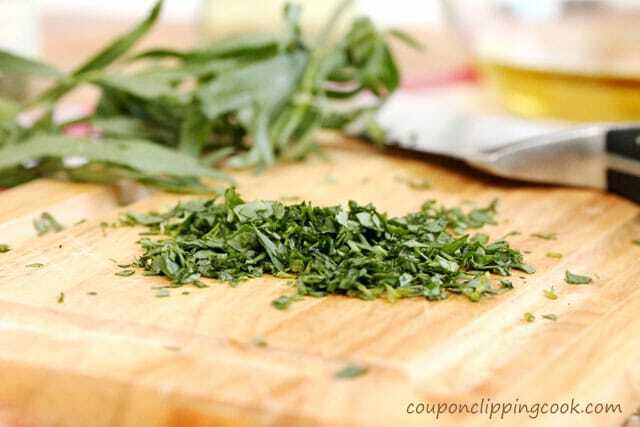 If you’re not able to find fresh tarragon no worries, the dried version works nicely too (the quantity of dried tarragon is less than fresh tarragon). To the bowl, or Mason jar, add the tarragon. If mixing this in a bowl, whisk together. Or if using a Mason jar, shake all ingredients together. 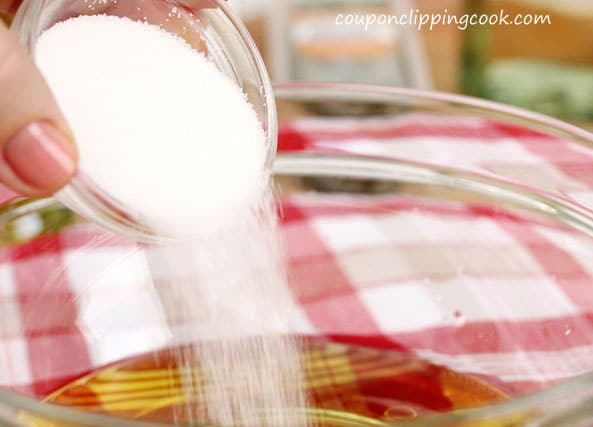 Just before serving, whisk or shake the ingredients together. Serve over a salad topped with fish, a combination of seafood, or serve over your favorite salad. 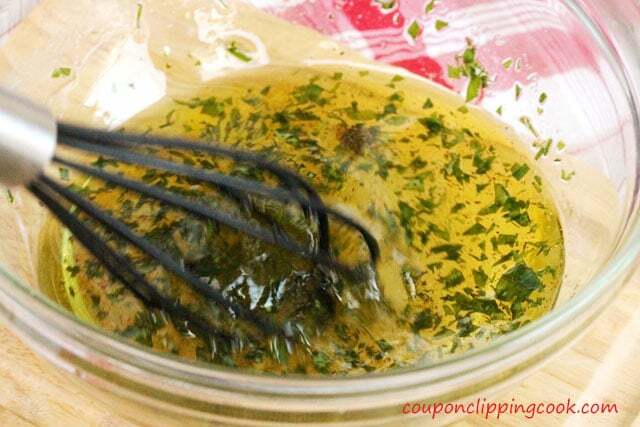 Store leftover dressing in the refrigerator. To a small bowl or Mason jar, add white balsamic vinegar, olive oil, sugar, salt, pepper, granulated garlic, water, and tarragon. 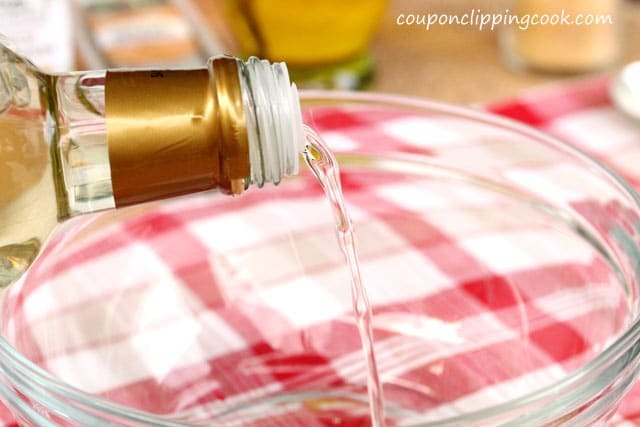 Whisk together if using a bowl, or shake together if using a Mason jar. Just before serving, whisk or shake ingredients together. Serve over a salad topped with fish, seafood, or serve with your favorite salad. Store leftover dressing in the refrigerator. Can you tell me the quantities for all of the ingredients as i have not made a dressing before and am not sure on amounts, just a rough guide would be good. Hi Amanda, thank you so much for stopping by! The amount of ingredients are listed at the very bottom of the post. And they’re even printable if you like. Have a nice weekend!